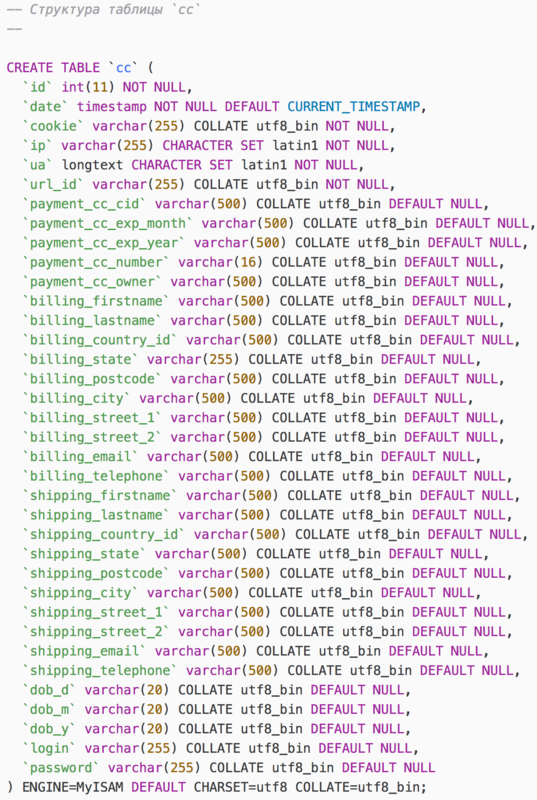 In late 2017, Volexity began tracking a new e-commerce financial data theft framework named JS Sniffer. 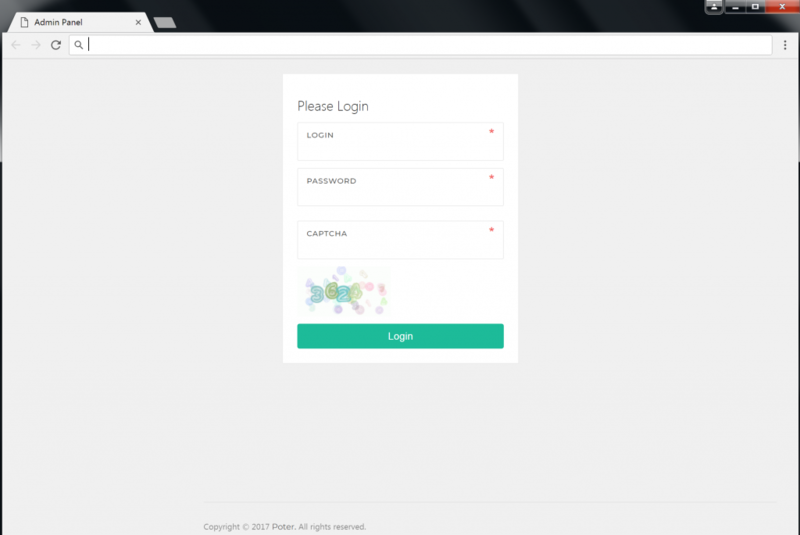 The framework gives attackers a quick and efficient way to steal data from compromised e-commerce websites. JS Sniffer is optimized to steal data from compromised websites running the Magento e-commerce platform. However, Volexity has observed the framework on e-commerce websites leveraging OpenCart, Dealer.com, Shopify, WordPress, and others as well. Volexity initially identified the framework following a highly targeted attack campaign against a website that facilitates online ticket sales for numerous events and venues. The image below highlights how JS Sniffer works in conjunction with a compromised e-commerce website. In the case of the compromised ticketing websites, Volexity observed two versions of the campaign. The first was direct to an IP address and did not use SSL. The second leveraged a domain name designed to blend in with the victims’ domains and used SSL. Example JS Sniffer URLs that were observed during this campaign are shown below. Looks for onchange events occurring for the following elements and captures element values. Calls the functions responsible for checking element value modifications at an interval of every 1.5 seconds. Captures the current hostname of the compromised URL in order to track where the data originates from. Uses the JSON.stringify() method to convert the captured element values into JSON formatting. Base64 encodes element values with the btoa() method. The script below was observed on a compromised e-commerce website. The code and domain leveraged in this attack is designed to blend in with the rest of the website, disguising itself as being related to Google Analytics. In reality, however, the script is loading the malicious JS Sniffer code (ga.js) from a server controlled by the attacker. The contents of ga.js are fairly lengthy and not included in this post as a result. This code largely performs the same functions as that described in Method 1 above. The purpose of this script is to capture all user-entered values, encode the data to base64 format, and send it back to a malicious server within the query string of a HTTP GET request. Example data captured could include products a user is adding to a shopping cart; credentials entered at site login; payment and shipping information; and more. The majority of the connections appear to take place over HTTPS, although there have been instances observed where the malicious data is transmitted over HTTP. Below is a sample of an HTTP request where data from a compromised website is being sent back to a JS Sniffer receiver. The full base64 string has been truncated for readability. 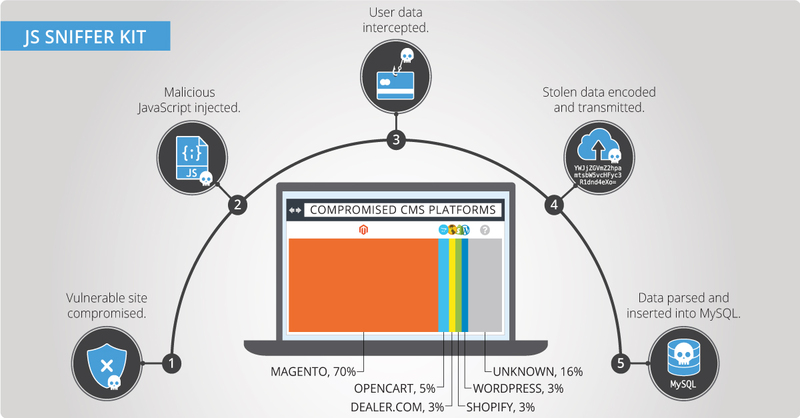 Volexity’s research shows that 70% of compromised sites analyzed were running the Magento CMS platform, with many containing critical unpatched vulnerabilities. It is likely the attackers using JS Sniffer are opportunistic, taking advantage of older vulnerabilities and not utilizing an unknown exploit to load this code. Active dialogue with the author of the product. Detailed description of the problems of the product and errors. Reasonable criticism and adequate behavior of the buyer when solving possible problems. Distribute the product to third parties without the consent of the author. Lease without agreement with the author. Aggressive behavior in personal and public contact with the author in the Internet. Groundless claims of problems with work/functionality. As shown, the author of the readme file attempts to describe JS Sniffer as a product meant for performing penetration tests on a local network. However, the sole purpose of JS Sniffer appears to be information theft, not assessing an organization’s security posture and areas of vulnerability, making it unlikely that this framework would be used for anything but criminal actions. There is also reference to license revocation for those who violate the rules listed in the readme. While Volexity is not aware of any attempts to report usage violations to the authors of JS Sniffer, there are strong suspicions that licenses would not actually be revoked. 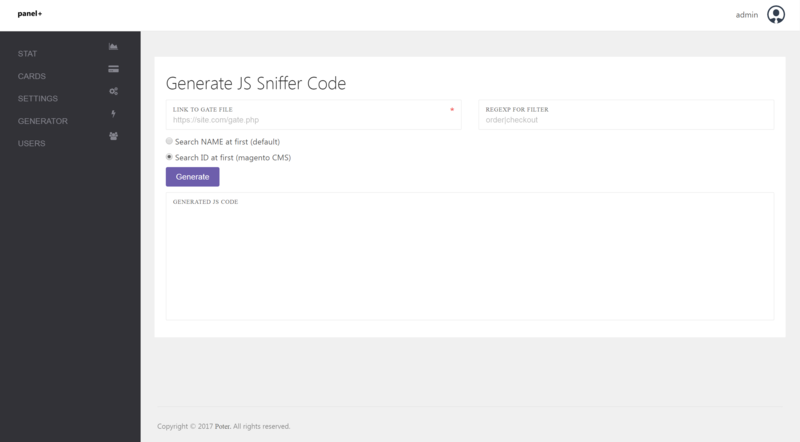 In addition, the readme also included instructions on configuring and setting up JS Sniffer in four easy steps. The process of setting up the framework is quick and simple, with several test files included in order to verify that everything is configured properly to intercept user data. The default credentials for JS Sniffer are set to admin:admin. Once configured, JS Sniffer is accessible via a web interface, which appears to be a customized version of the UI framework Pages by Revox. The login page for JS Sniffer is shown below. Once logged in, the main dashboard page within the panel displays statistical information on the quantity of credit cards stolen, as well as the location (website) where the data was stolen from. Default statistic page within the JS Sniffer admin panel. A SQL database dump named sniff_updated that was generated with phpMyAdmin is used to import the tables where the stolen data will be stored. This database contains four tables named cc, export_templates, system logs, and users. Volexity identified the same initial SQL file from many different instances of JS Sniffer that are believed to have been set up by different actors, indicating this database is provided as part of an initial JS Sniffer deployment. The following is the header of the SQL file that appears to be provided with the dump. The most noteworthy part of the database is the cc table, which stores the intercepted data that the attacker is stealing from the compromised websites. The image below shows a view of the cc table. SQL Table “cc”, which is used to store payment data. It is worth highlighting that while some are included, the admin panel does contain options to add or modify certain regular expressions in order to parse data from non-standard fields on compromised websites. JS Sniffer includes regular expression files for several different targeted fields as shown below. The following intrusion detection system signatures can be used to look for JS Sniffer Beacons. Shopping online is a modern convenience and for the most part can be done securely. However, in some cases, security might be an afterthought for online retailers which can then allow their customers (and the companies themselves) to become victims. Volexity reached out to operators of several compromised e-commerce websites to explain that they were breached and how to find the offending code. Unfortunately, in multiple cases, the malicious JS Sniffer code still remains on these websites, even after receiving verbal or electronic acknowledgement of the issue. Volexity would encourage users to leverage browser plugins such as NoScript or uBlock for tighter granularity over which websites are allowed to load script into their browsers. While not believed to be directly related, Volexity would like to acknowledge the “Magecart” research from RiskIQ. Similar to JS Sniffer, Magecart has also targeted online retailers and ticketing companies.